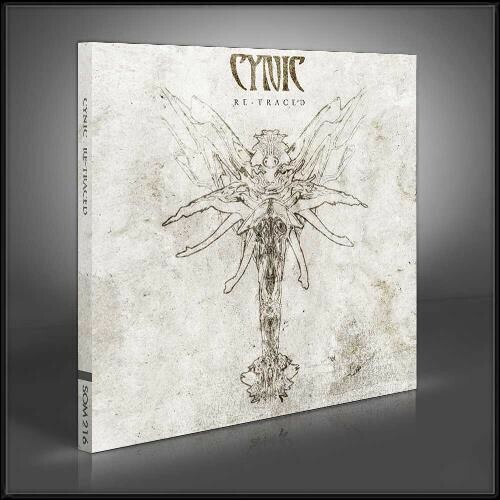 Taking their love for musical experimentation even further, CYNIC turn four songs from “Traced in Air” inside out and create four brand-new tracks for “Re-Traced”. This album furthermore includes the not earlier released track “Wheels Within Wheels”. Their exploration on “Re-traced” leads the band to what they call “sci-fi prog folk”, which is part psychedelic rock, part minimalist restraint. Even without vocoder or the traditionally busy CYNIC riffs the music retains its song structure, integral melodic sense, harmony and lyrical inspiration. There are no limits to the Americans re-inventing their own songs and shedding light on their inherent beauty. Follow CYNIC into a new galaxy of sound with “Re-Traced”!